Located in almost every Boeing and Cessna aircraft flight-deck today you will find MSP Aviation Switch Guards. MSP’s Switch Guards are highly durable and exceed our customers requirements for reliability. 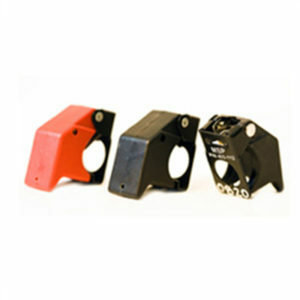 Our Switch Guards are used to prevent the inadvertent activation of a toggle switch by the aircraft operator. Some examples are switches that activate Fire Suppression Systems or Emergency Locator Transmitters, (ELT’s). MSP Switchguards are premium quality and are far more rugged than what MSP’s competitors offer.